Keep your pedals ordered and powered with this top-quality board. neatly tucked away and out of view. pedals and cabling to the pedalboard. 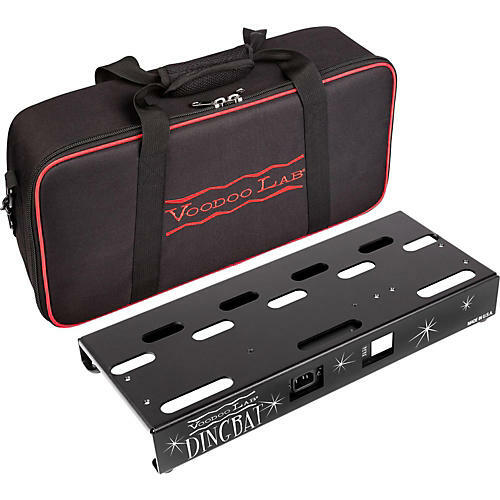 The Dingbat Small Pedalboard Power Package w/ ISO-5 is ideal for use with up to four standard 9V effects pedals or three standard 9V effects and one high-current digital effect like those from Strymon, Eventide or Line 6. There is also an 18V isolated output for higher voltage effects.